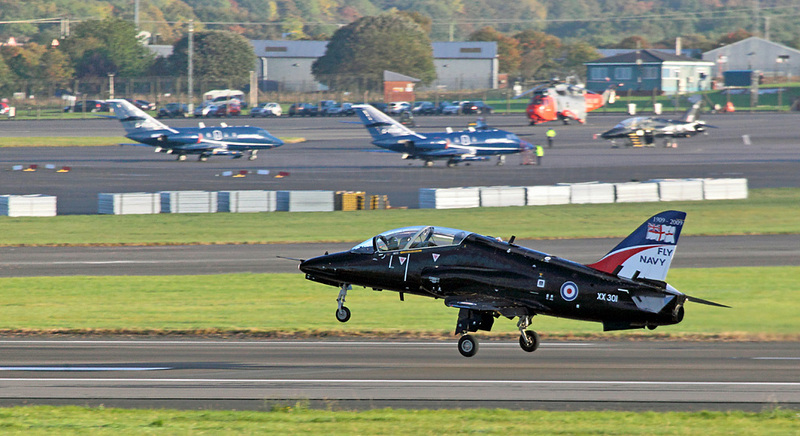 Until fairly recently most of the aircraft involved in Joint Warrior have operated from RAF Lossiemouth, Kinloss and Leuchars but following the closure of Kinloss and Leuchars passing to the Army, Prestwick Airport has been adopted as a temporary base for Royal Navy Hawk T.1s of 763 Naval Air Squadron (NAS) and Dassault Falcons of Cobham Aviation Services. 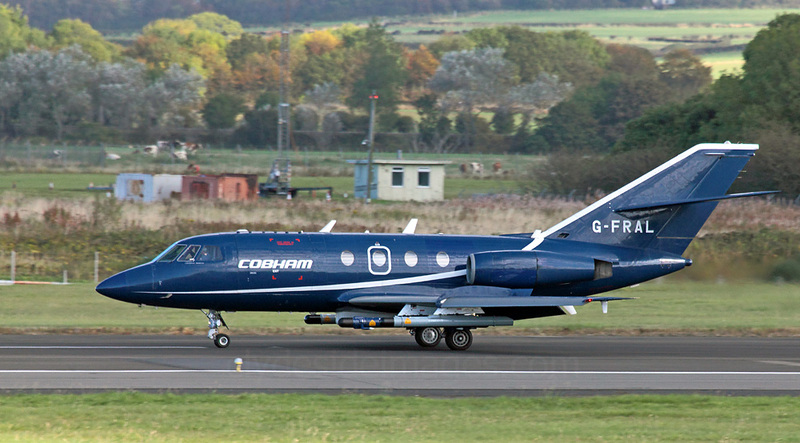 Although the Cobham jets are civilian, they work closely with the MOD and play a major role in proceedings. 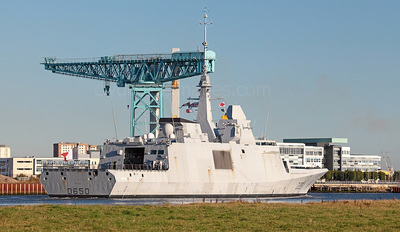 They`re equipped with onboard systems and special electronic warfare mission pods for radar and communications jamming, threat simulation and electronic surveillance. 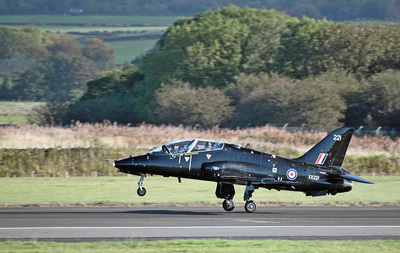 The Falcons also act as hostile airborne targets for the warships by running in at low-level to simulate a sea skimming missile, or 'launch' simulated missiles electronically which the navy can track and respond to with their defensive systems. 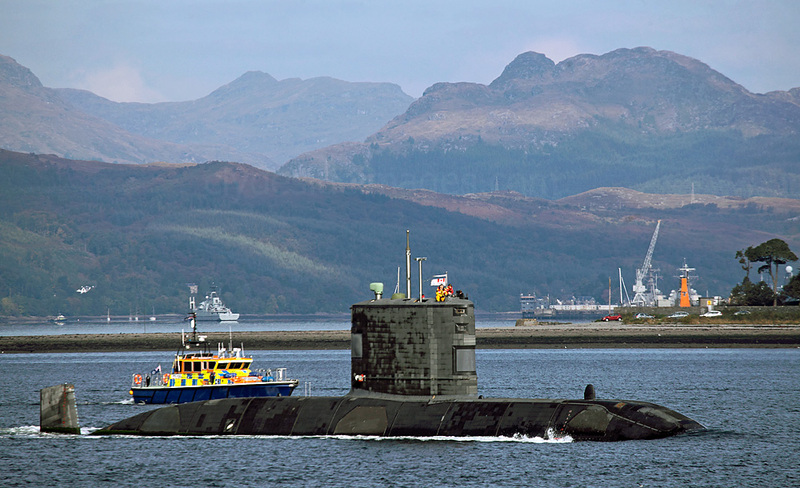 HMCS Windsor (SSK 877) ex HMS Unicorn, Victoria-class Submarine, Gare Loch, Scotland. 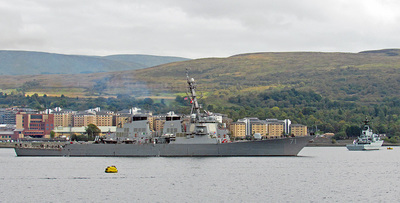 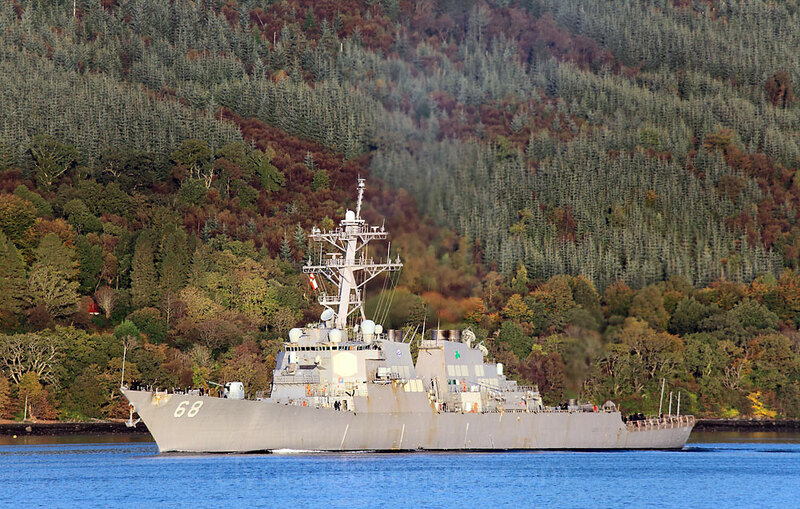 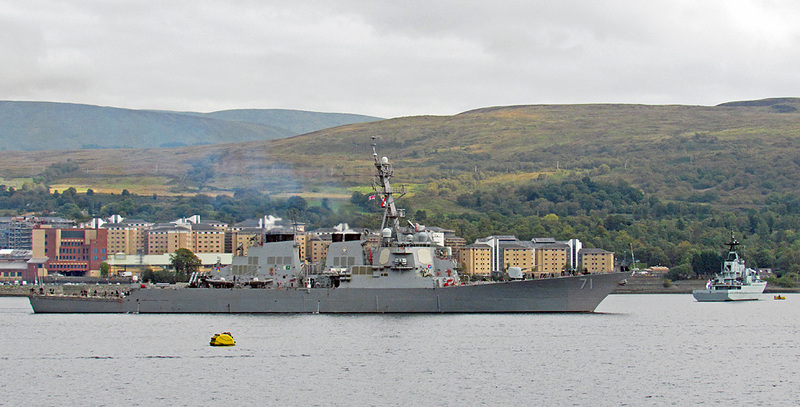 USS The Sullivans (DDG-68) Alreigh Burke-class Destroyer, US Navy. 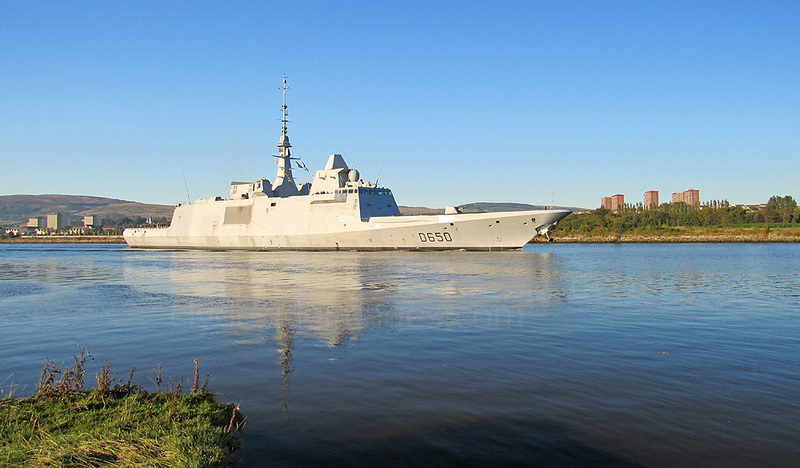 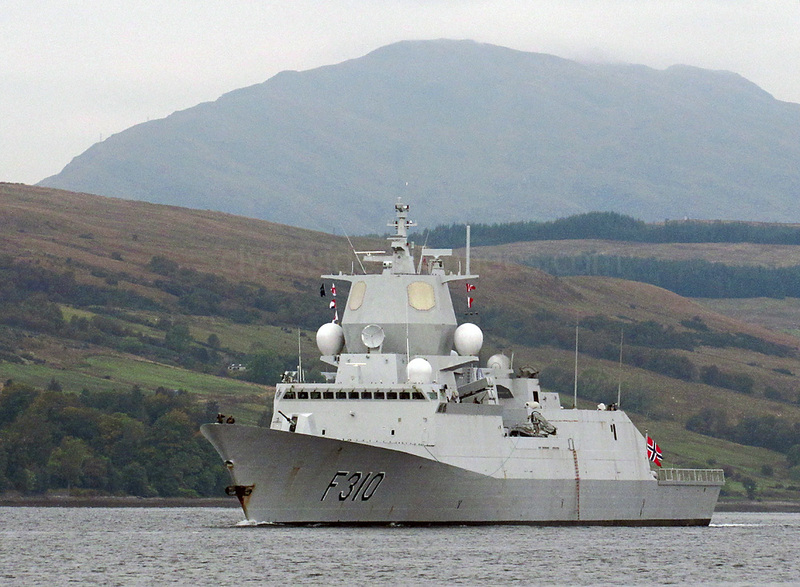 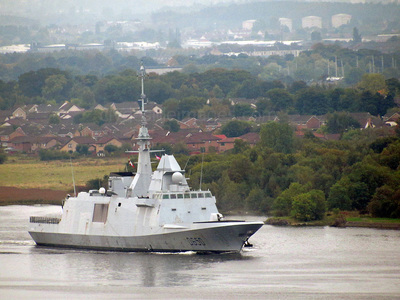 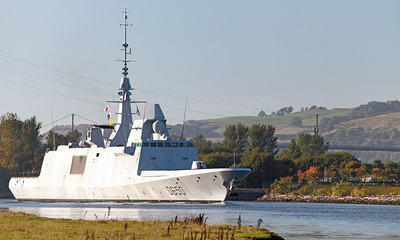 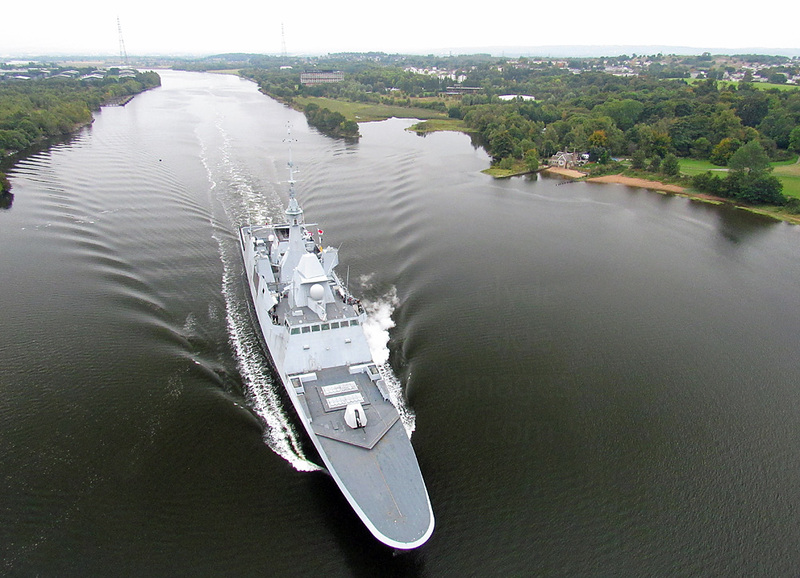 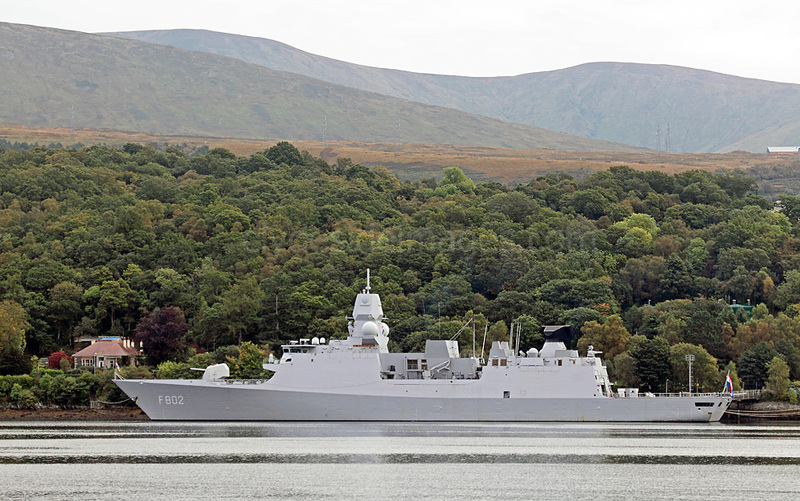 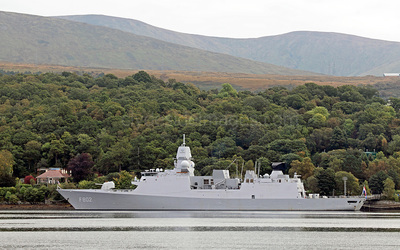 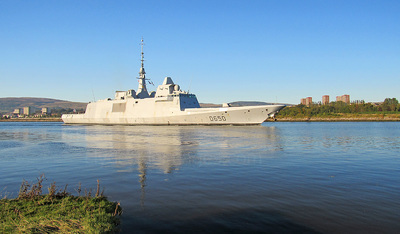 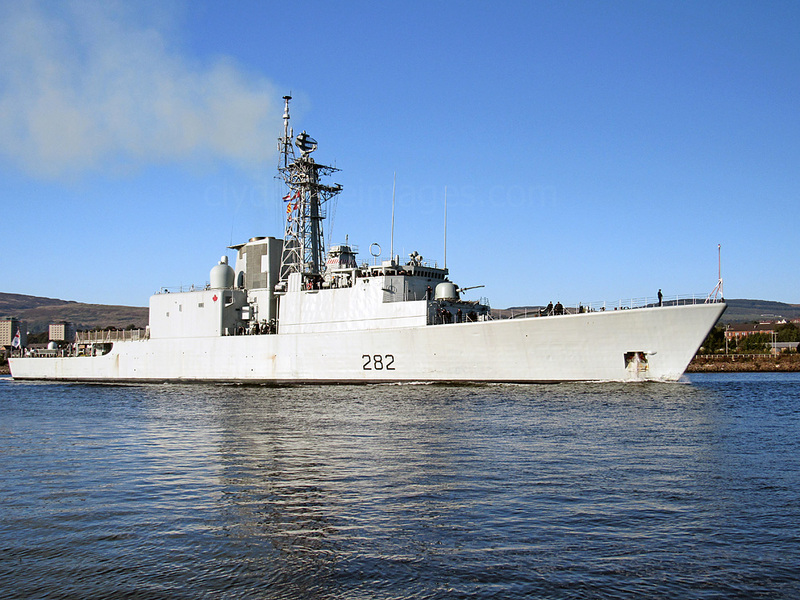 FS Aquitaine (D650) Multi-purpose Frigate, French Navy. 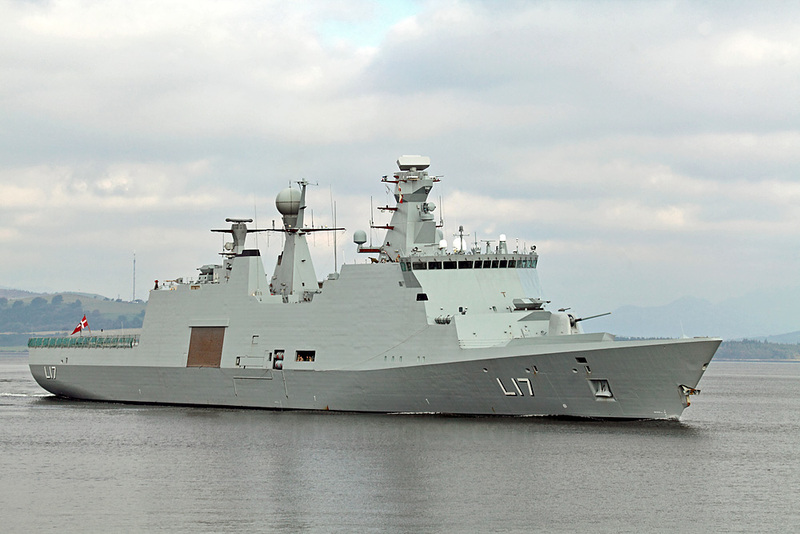 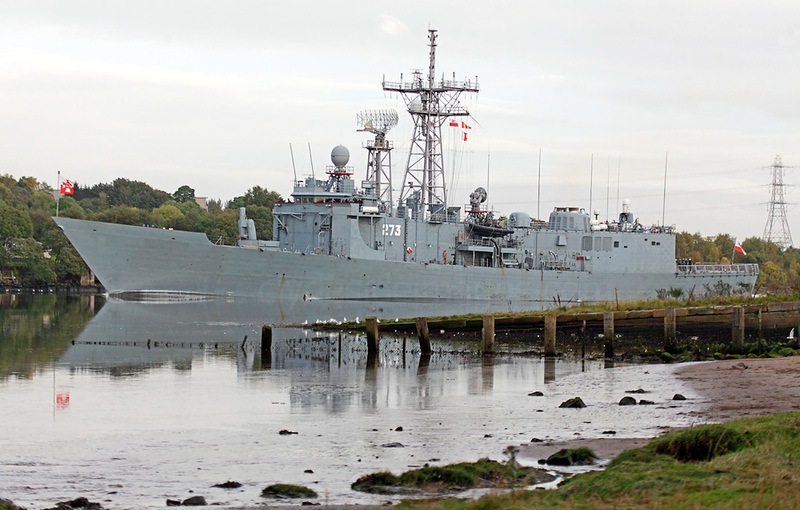 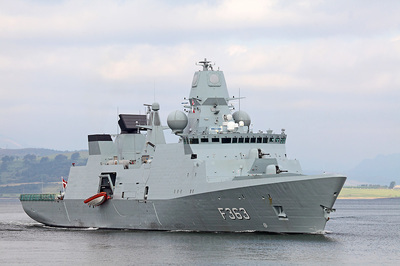 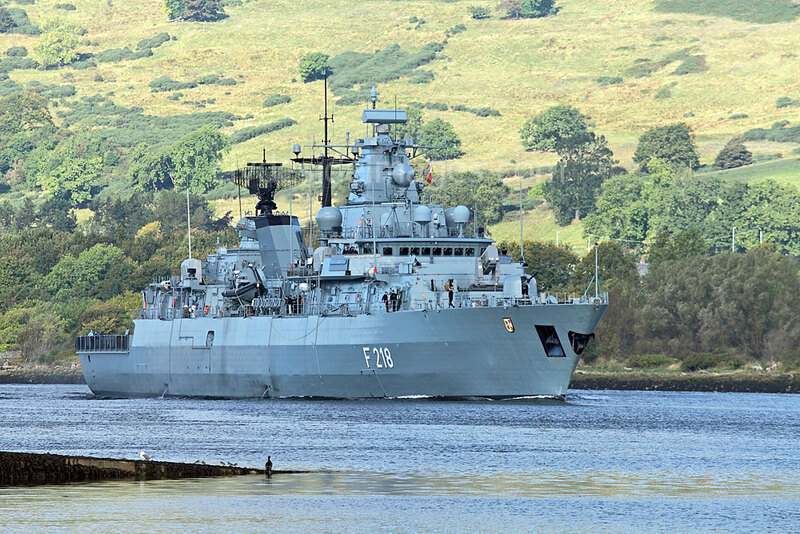 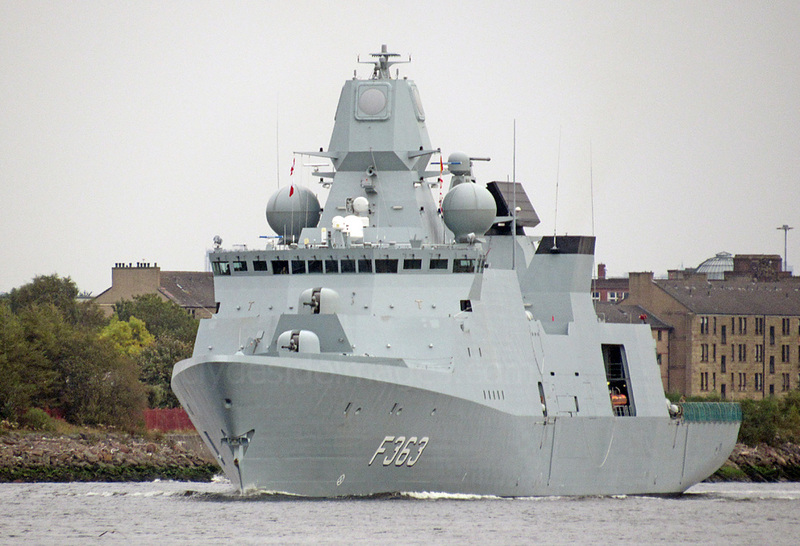 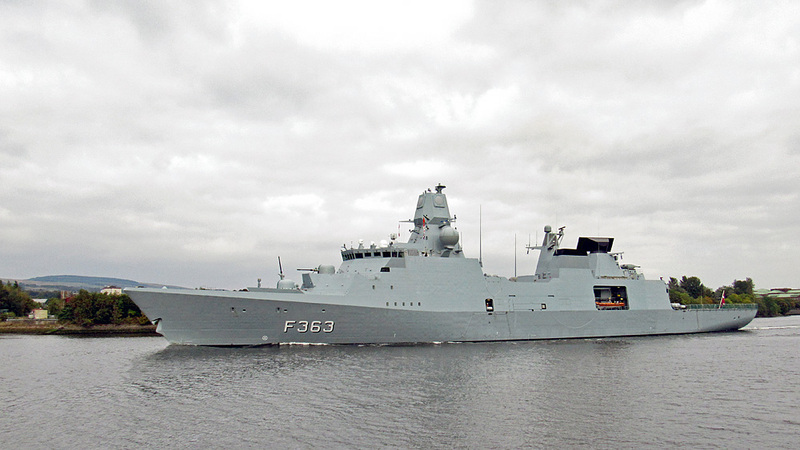 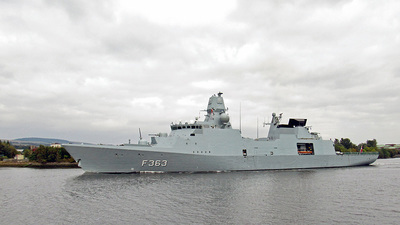 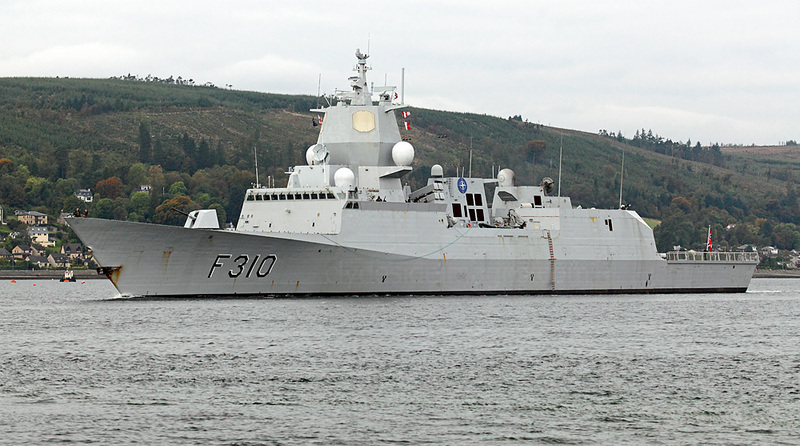 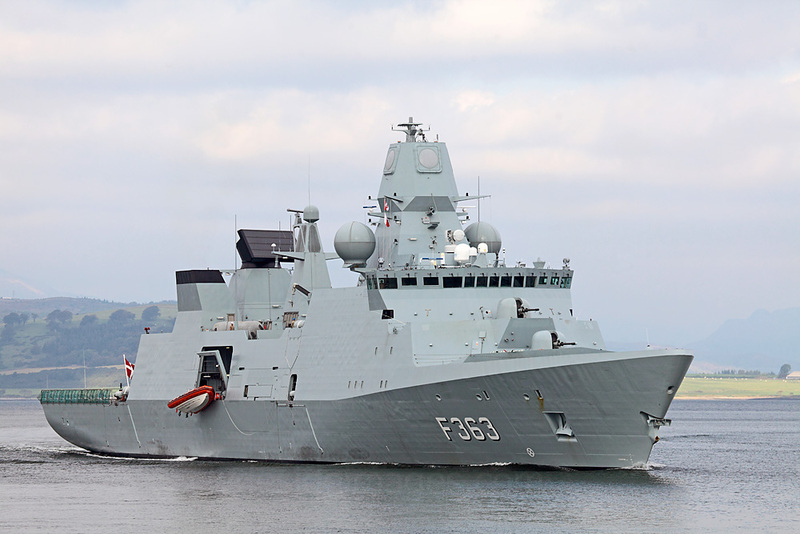 FGS Ludwigshafen am Rhein (F264), K130 Braunschweig-class Ocean-going Corvette, German Navy. 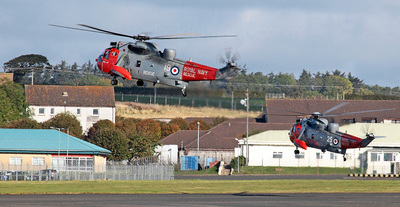 Joint Warrior aircraft at Prestwick Airport. 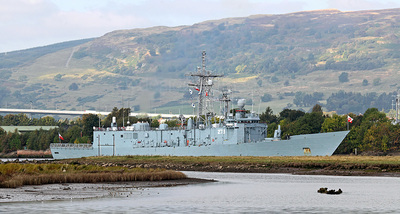 8 October 2015. 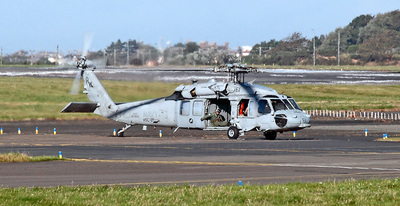 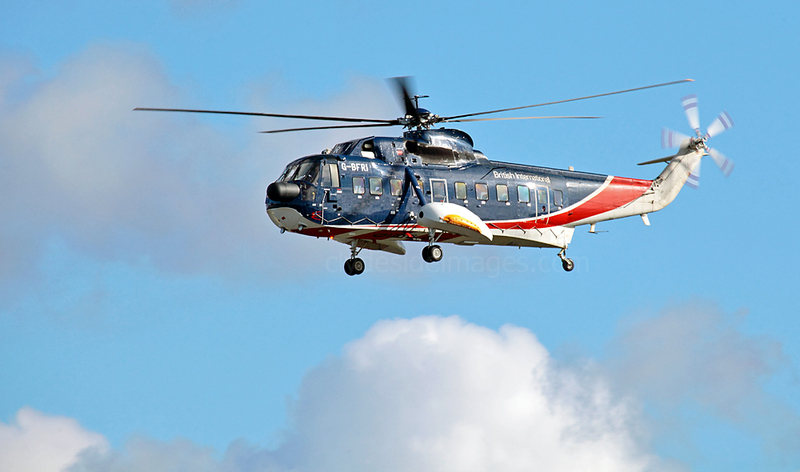 USN MH-60S Seahawk 167852 (HW-61) of Squadron HSC-26 `The Chargers` at Prestwick Airport. 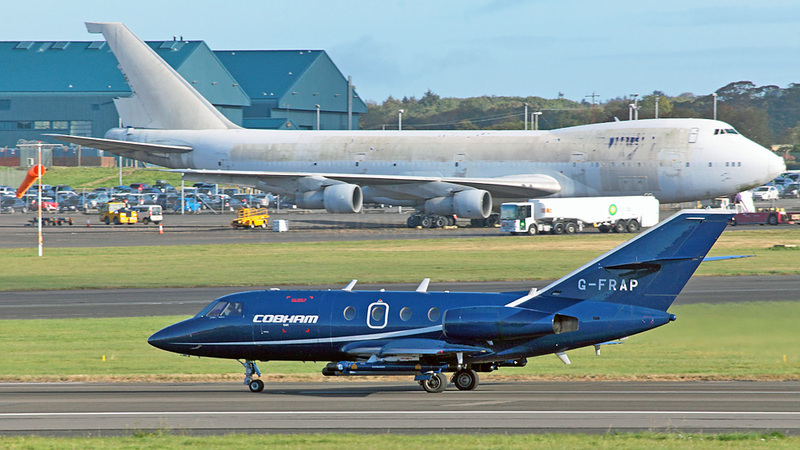 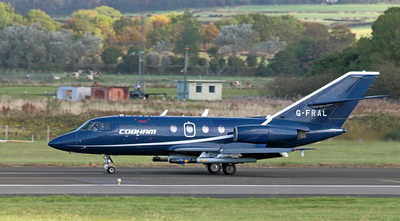 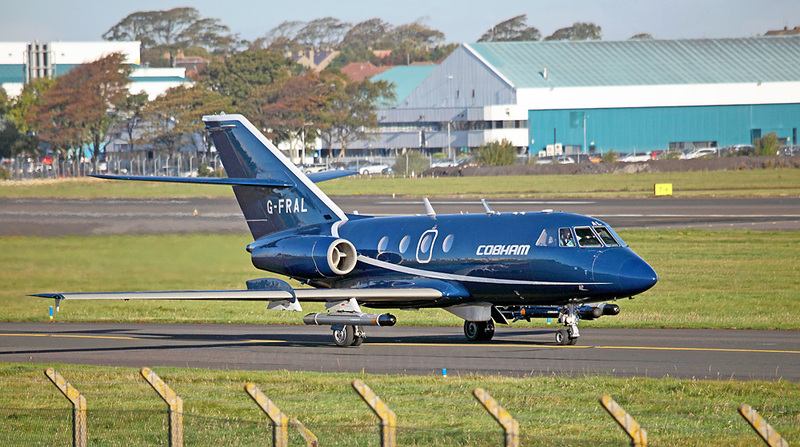 Dassault Falcon 20DC G-FRAL Cobham Aviation, Prestwick Airport. 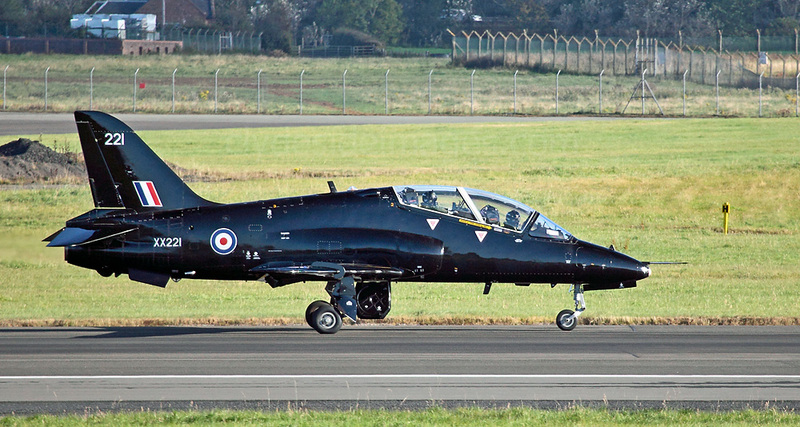 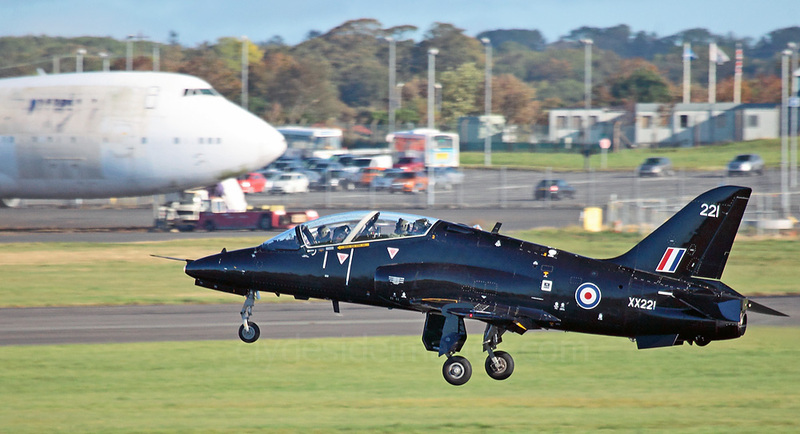 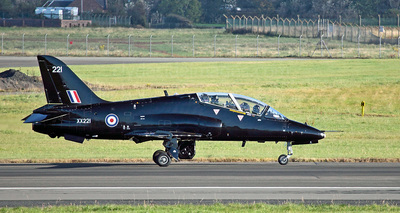 BAe Hawk T.1 XX221 Royal Navy, Prestwick Airport. USS Mount Whitney (LCC 20) Blue Ridge-class Amphibious Command Ship. 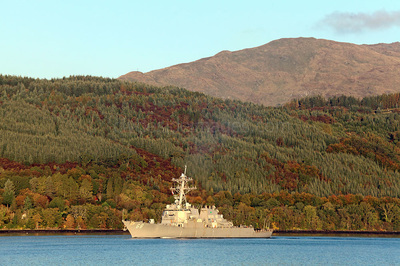 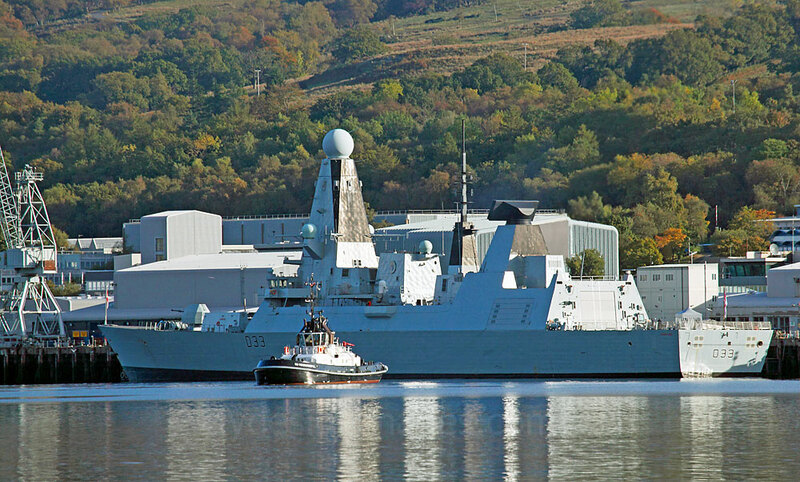 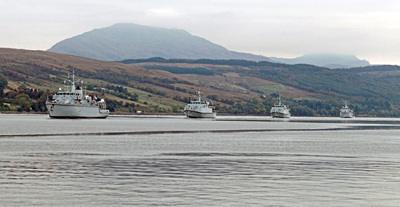 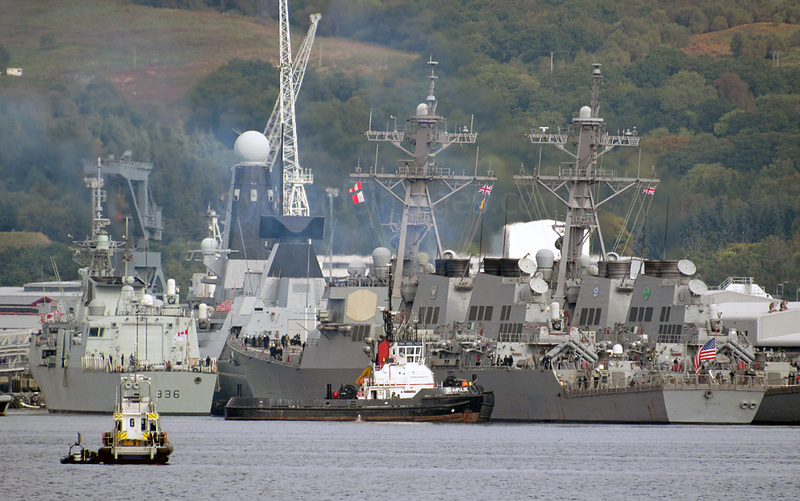 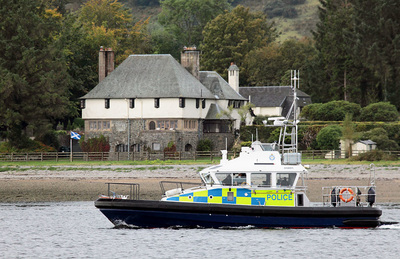 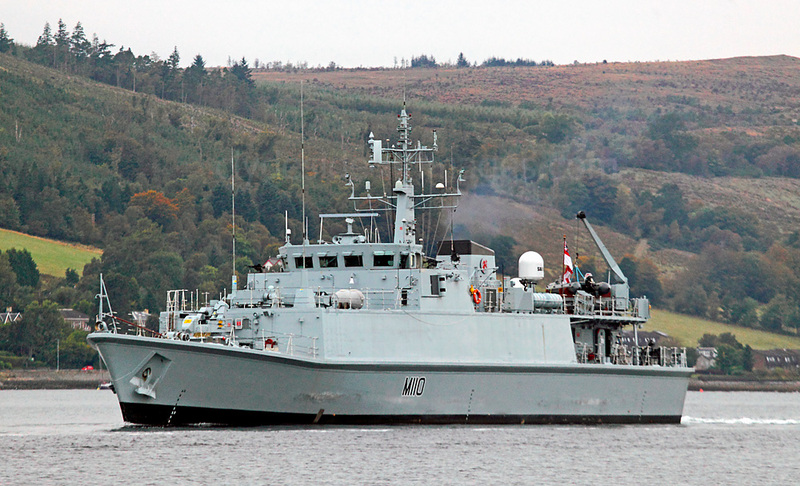 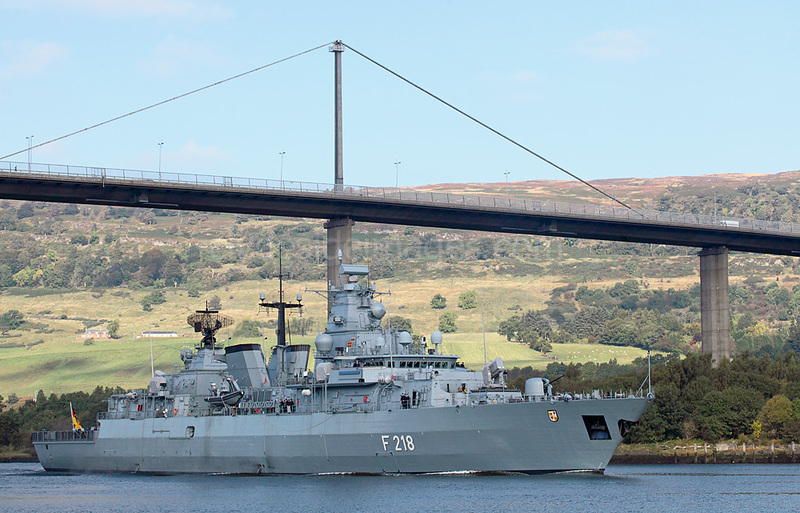 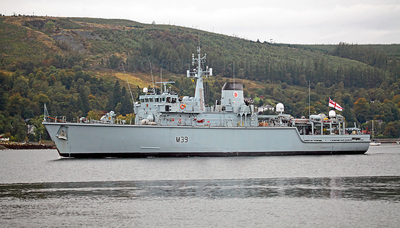 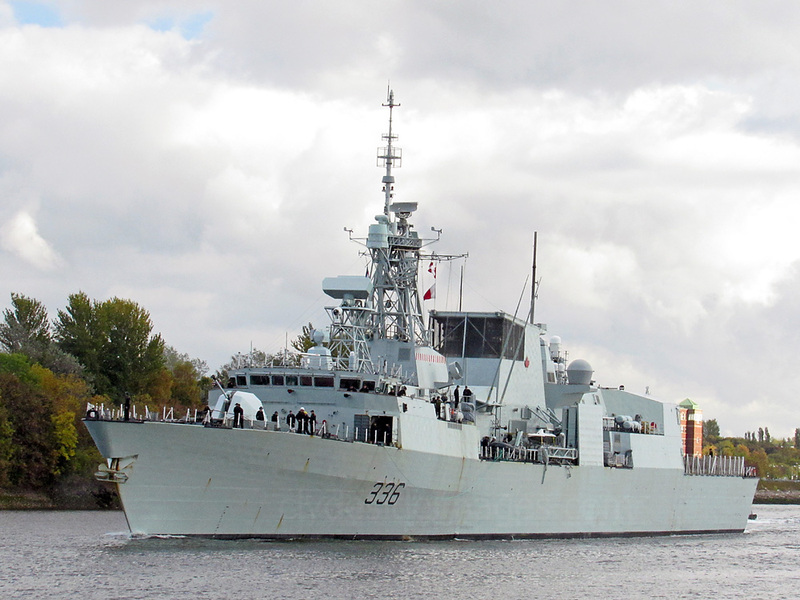 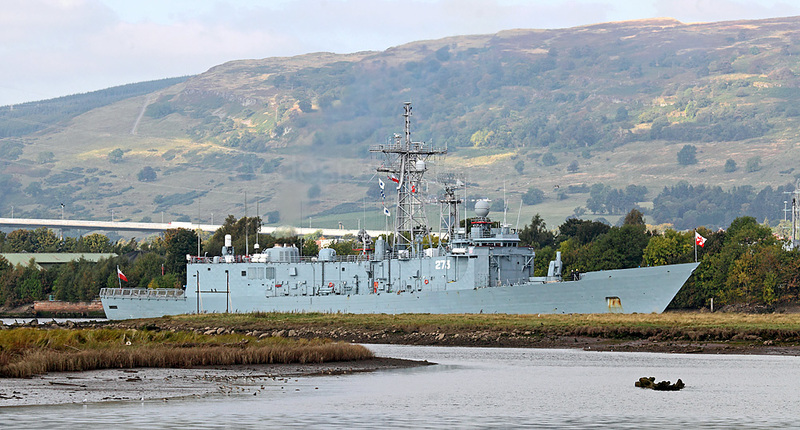 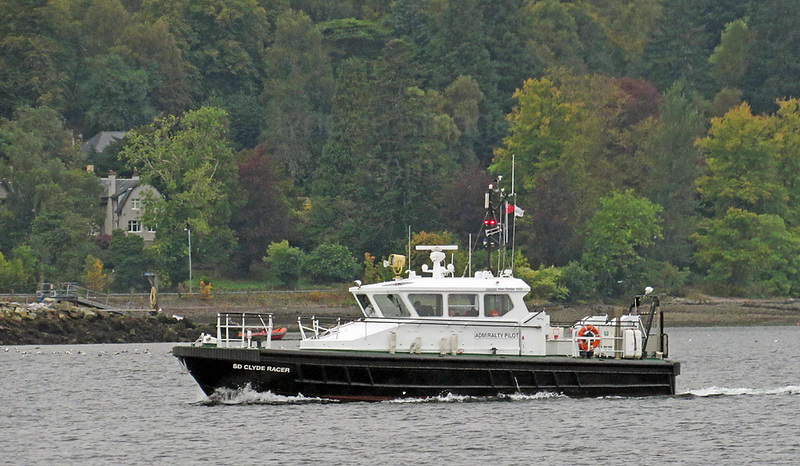 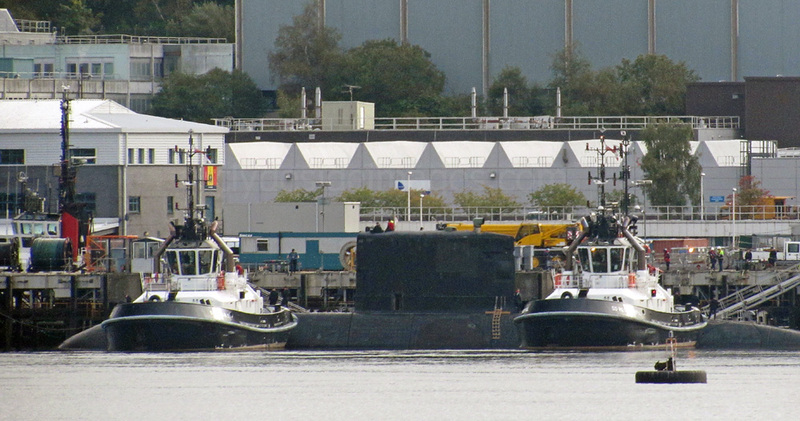 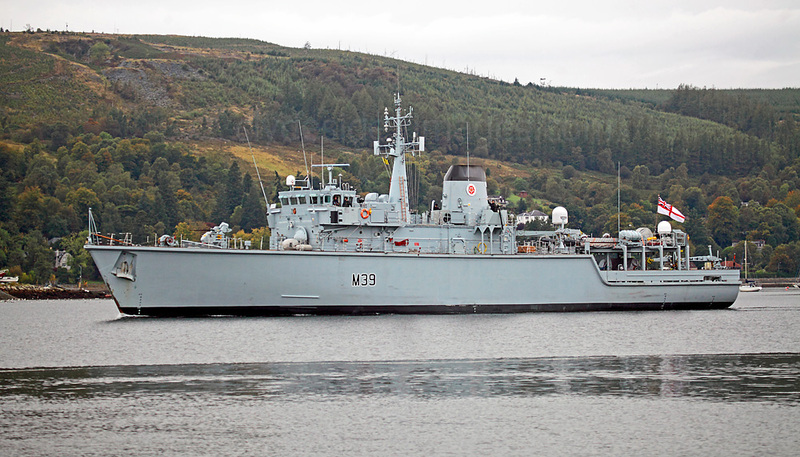 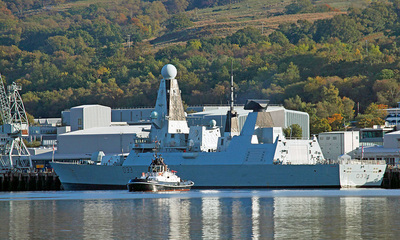 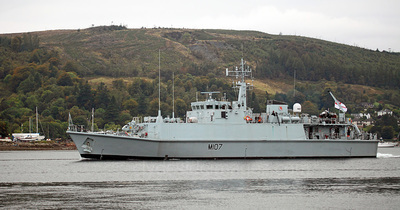 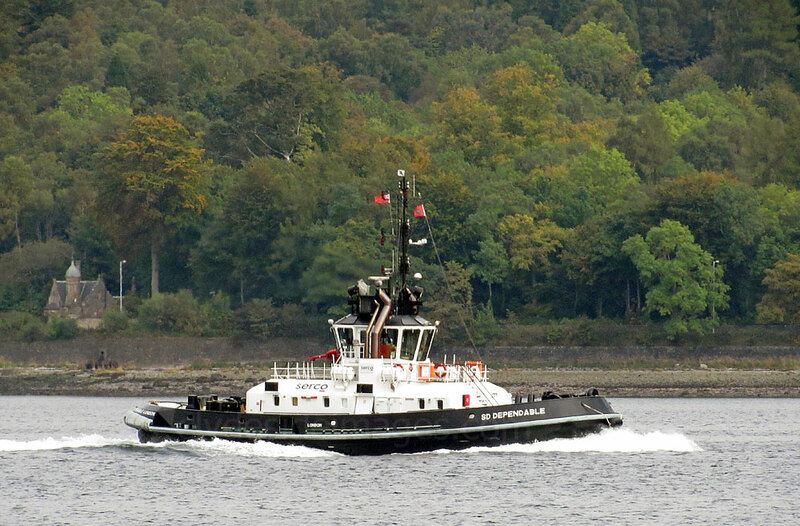 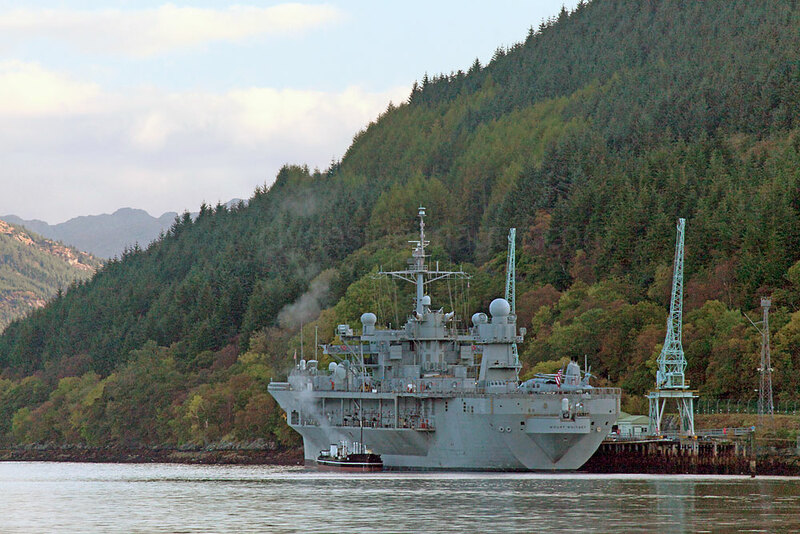 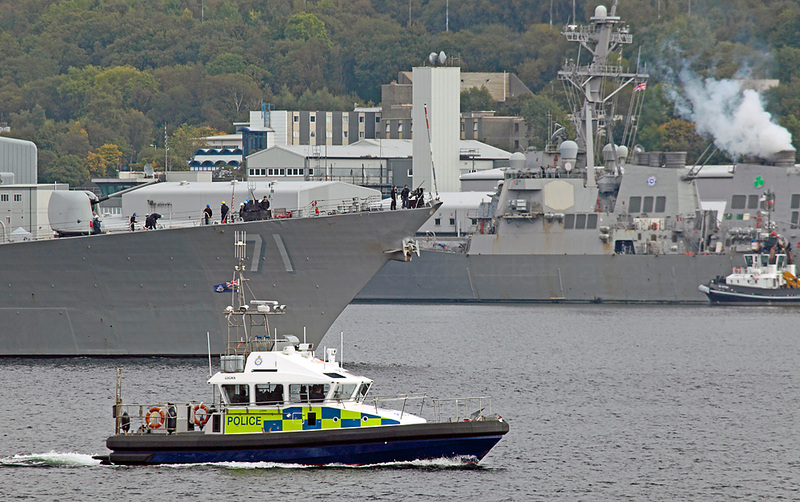 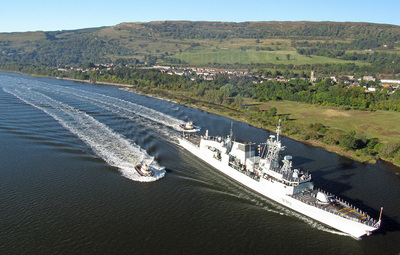 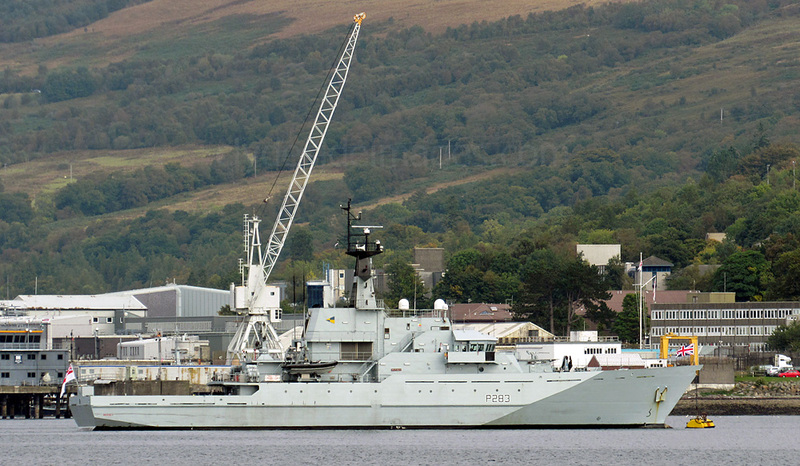 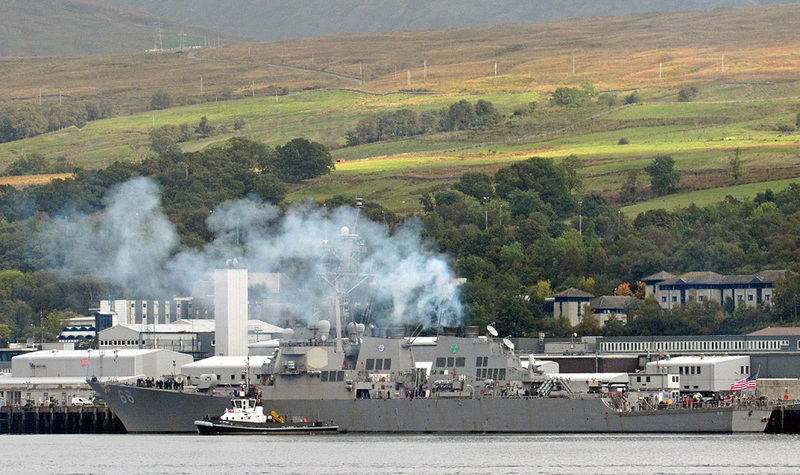 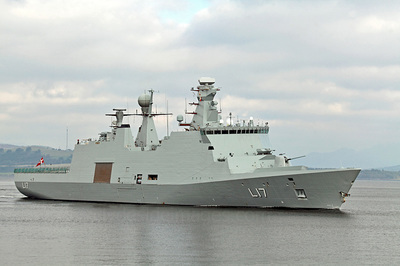 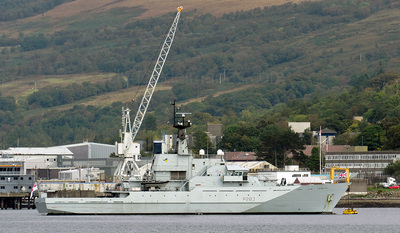 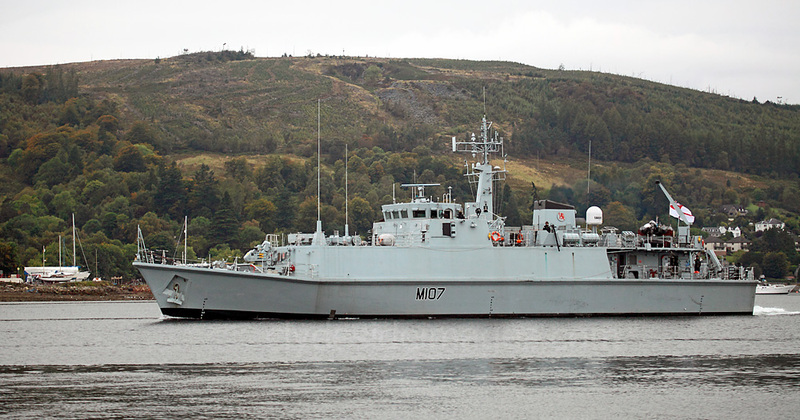 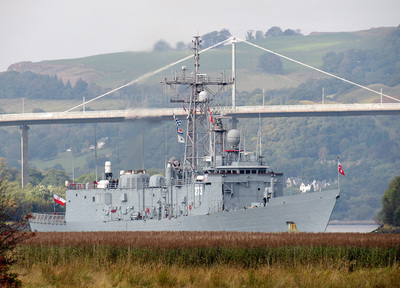 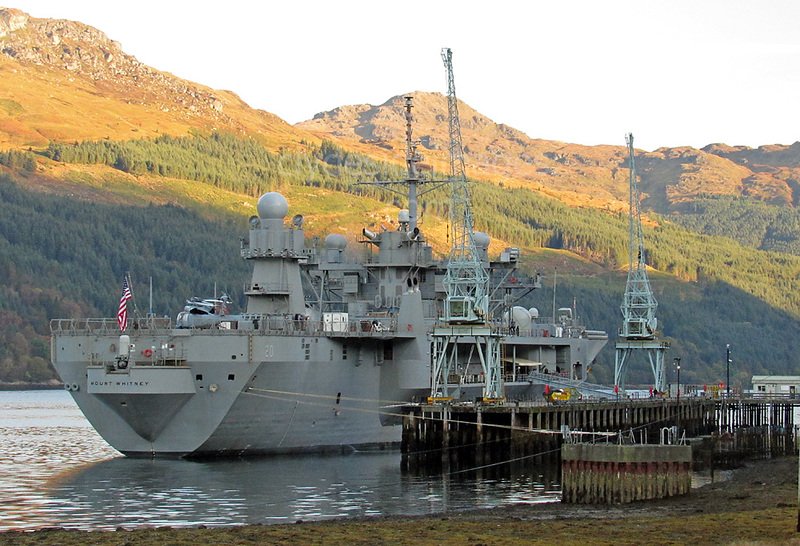 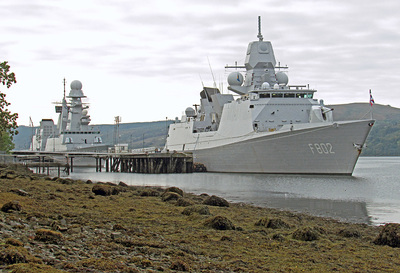 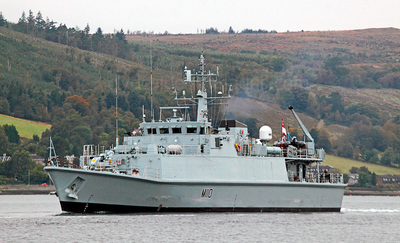 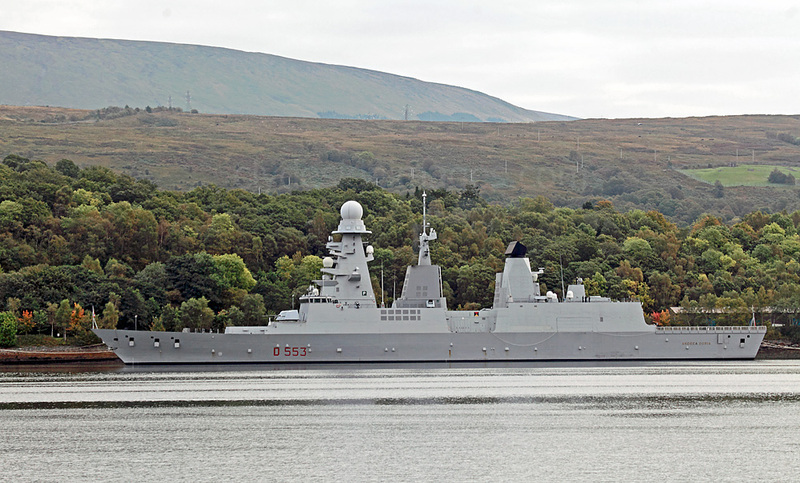 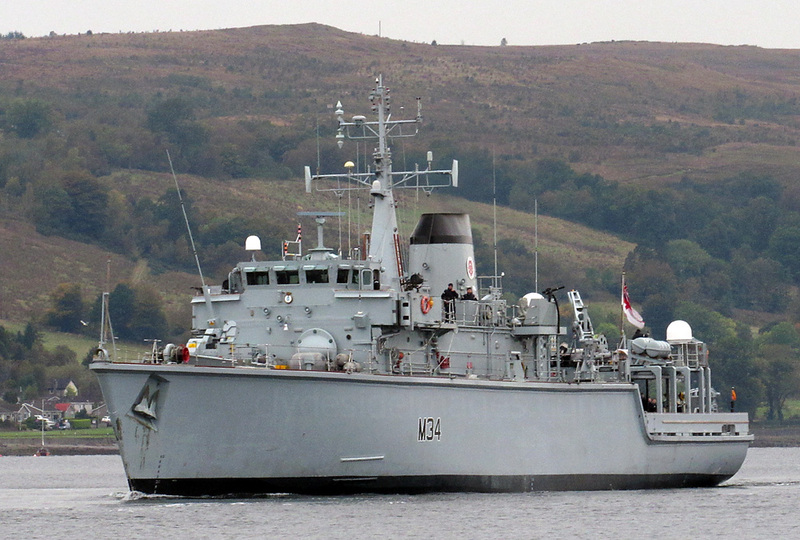 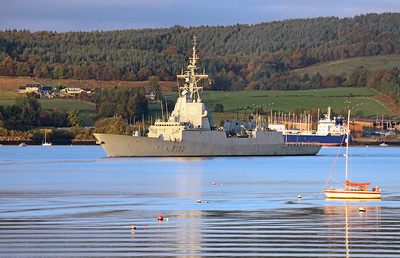 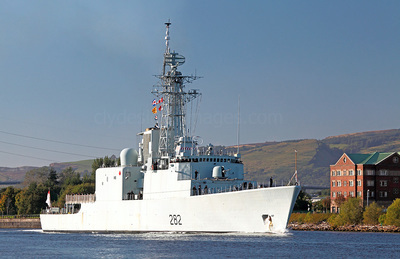 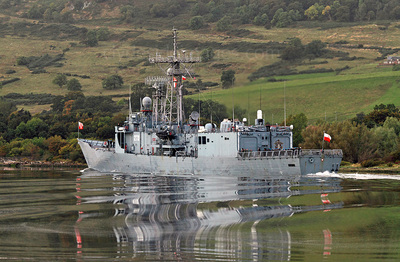 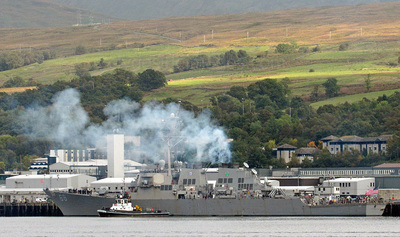 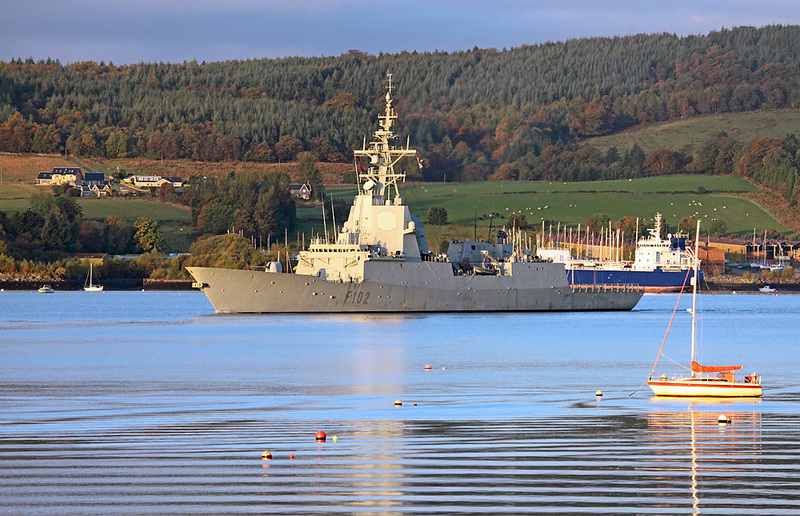 Although she arrived on the Clyde at the end of Joint Warrior, the timing of her visit was purely coincidental as she was not thought to have been involved in the exercise. 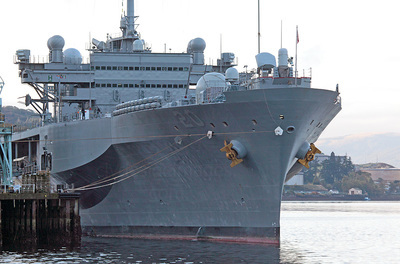 One of two Blue Ridge-class Amphibious Command Ships, Mount Whitney acts as the command ship for the US Navy`s Sixth Fleet. 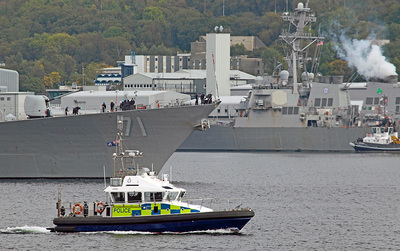 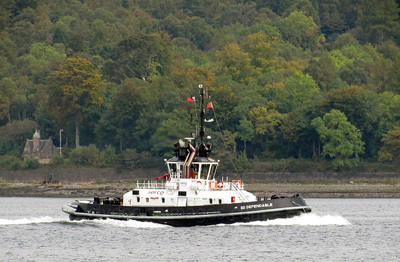 A US Navy officer is in overall charge with a navy mission crew, but navigation, seamanship, engineering, laundry and galley services are all provided by the civil service mariners of Military Sealift Command.